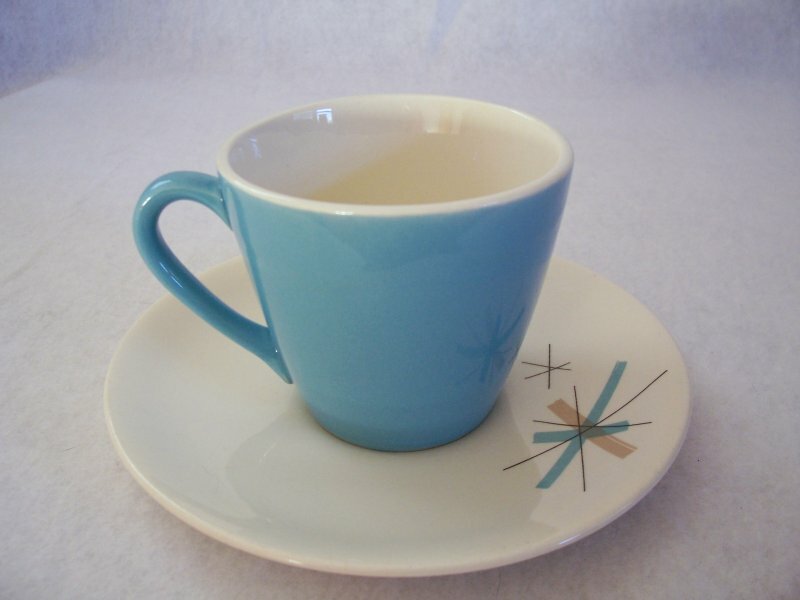 A cup and saucer set by Salem China in their North Star pattern featuring a turquoise and tan atomic pattern. 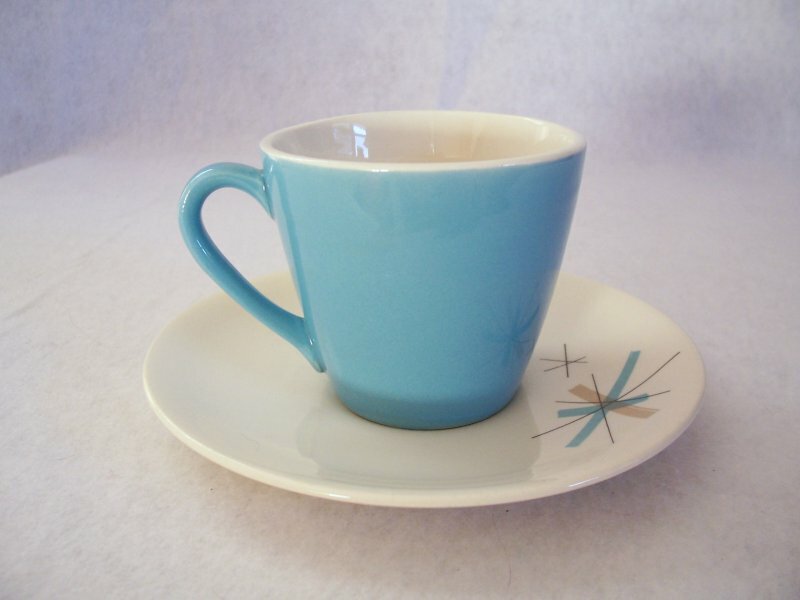 The cup is turquoise with a white interior. There are no cracks, chips or crazing. The saucer shows very, very faint marks where the cup sits. The decal is bright strong and intact. 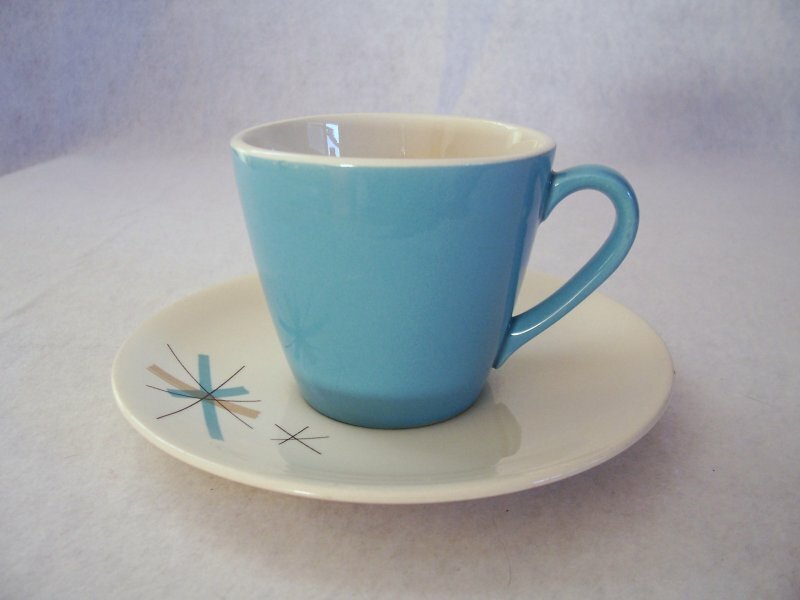 A cup and saucer set by Salem China in their North Star pattern featuring a turquoise and tan atomic pattern. Manufactured in the 1950 to 60s. 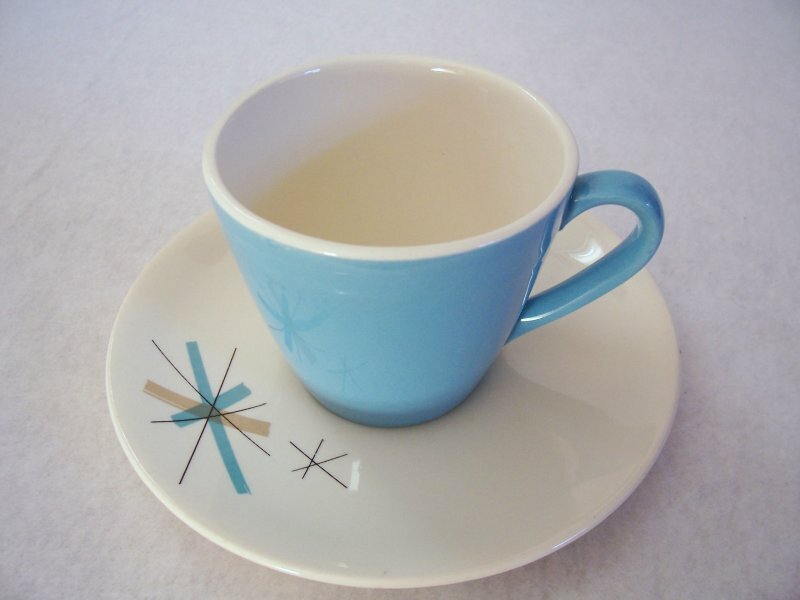 This pattern and that of Franciscan China Atomic Starburst are one of the most collectible. 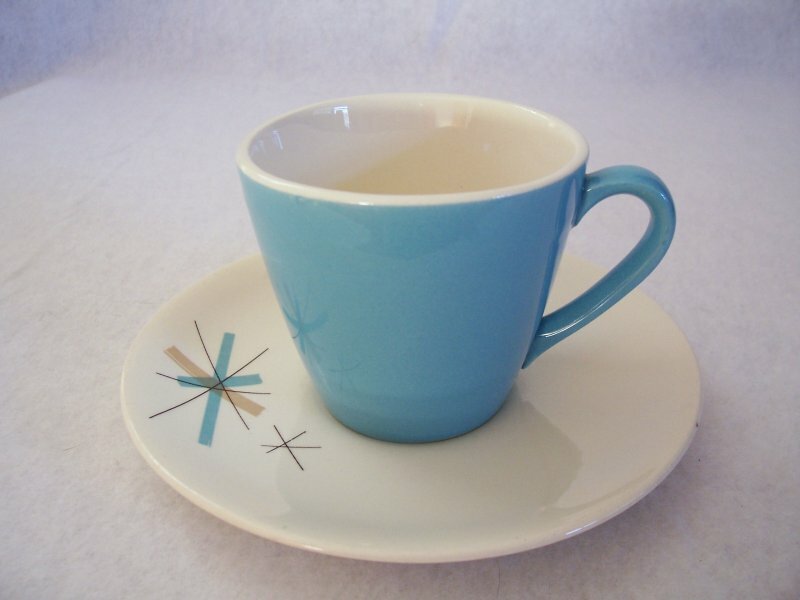 The cup is turquoise with a white interior. 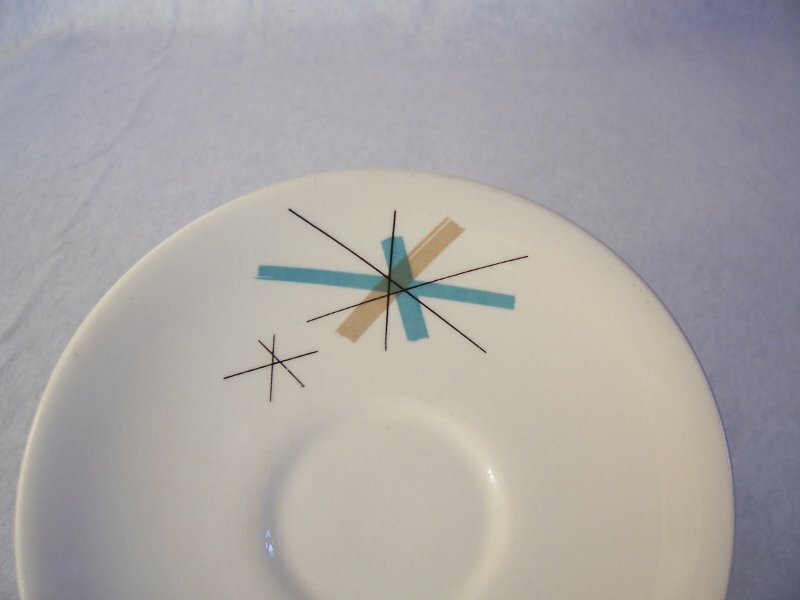 The saucer has the atomic starburst in turquoise, tan and black. 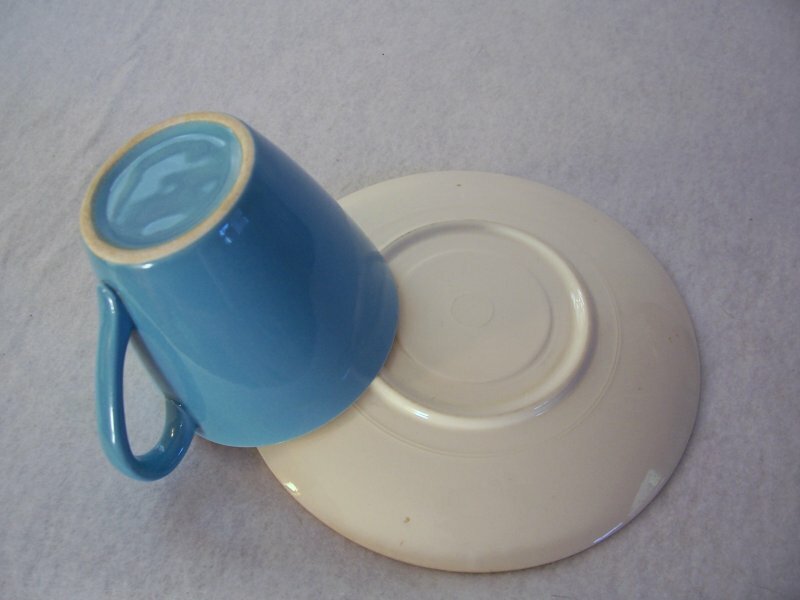 The cup measures 2 7/8 inches tall, 3 1/4 inches in diameter, and is 4 1/4 inches across the handle. It holds 6 oz. 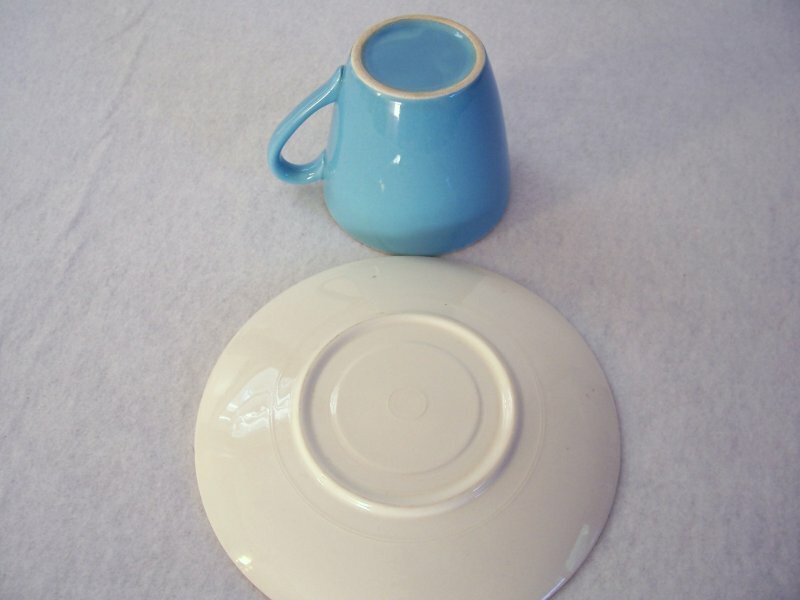 The diameter of the saucer is 6 1/4 inches. There are no cracks, chips or crazing. The saucer shows very, very faint marks where the cup sits. The decal is bright strong and intact.